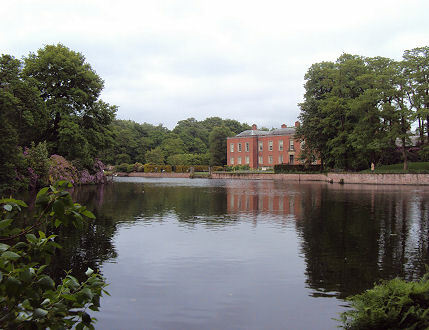 Dunham Massey is situated three miles south west of Altrincham. The house dates from the Georgian period, and was built around a Tudor core, but underwent extensive restoration in the Edwardian era. The result is one of Britain's most sumptuous Edwardian interiors. The present hall was initially built in 1616 by Sir George Booth, who was amongst the creations of Baronets by James I in 1611. but was later remodelled by John Norris for George, Earl of Stamford and Warrington between 1732 and 1740. The building was extensively reworked in the early years of the twentieth century. 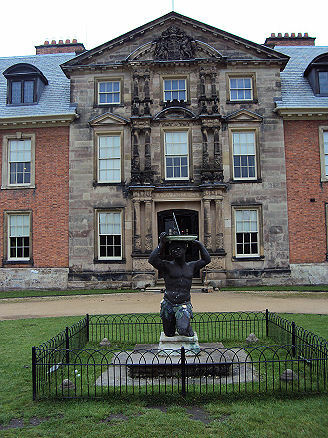 The house was given to the National Trust in 1976 by the last Earl of Stamford. The hall contains superb collections of Georgian walnut furniture. It has an extensive library, a kitchen, laundry and stables. Visitors may go 'below stairs' to the service wing and discover how the running of a country house took place. Inside the hall is a fine collection of Huguenot silver, a carving by the famous seventeenth century wood carver Grinling Gibbons, and a white marble bust of the Emperor Hadrian; the head is antique, but the neck and shoulders are eighteenth century. The collection of paintings in the hall include works by William Beechey, Francis Cotes, Michael Dahl, Sir Joshua Reynolds, George Romney, Enoch Seeman, and Zoffany. 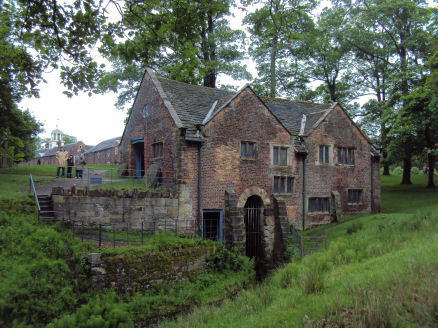 The estate contains a fascinating Jacobean mill with fully working waterwheel. This rare and well preserved example of a seventeenth century watermill was restored and much of the machinery re-constructed in around 1980. Also known as High Towncorn Mill, it was originally a cornmill then a sawmill. The mill was probably built in 1616 at the same time as the hall. 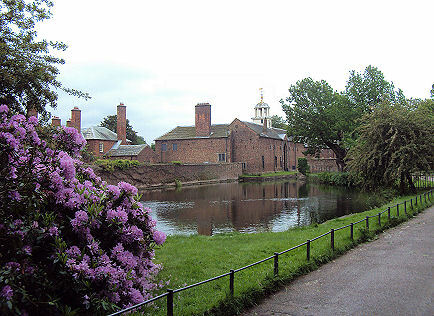 Dunham Massey is set in highly attractive gardens which house an exceptional collection of plants. 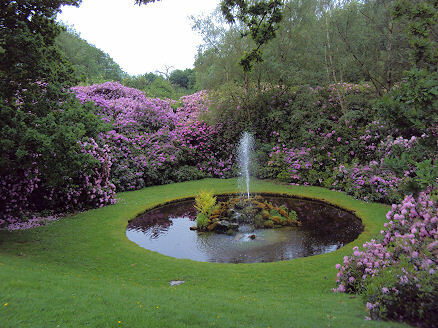 The gardens include an orangery, a Victorian bark house and well house, waterside plantings, late flowering azaleas and Elizabethan mount. The winter gardens, near to the house contain a carpet of more than 12,000 snowdrops, while the Camelia Walk is a delight to the eyes. 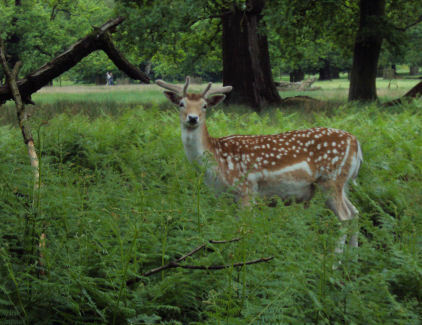 The 250 acre ancient deer park surrounding the house and gardens contains a series of beautiful avenues and ponds and offers some excellent walks. 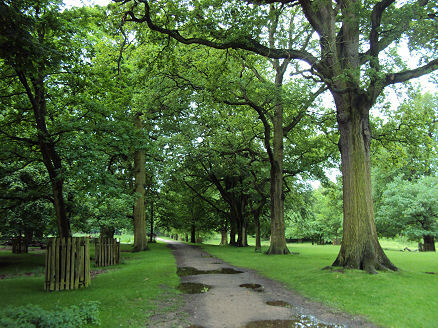 The site is moated and lies immediately west of the village of Dunham, with the deer park lying to the south. 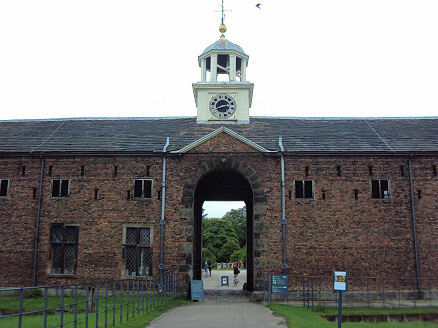 *Commencing from the car park at Dunham Massey, go to the main gate and turn right, following the park wall, take the first turning on the left and continue down Woodhouse Lane into Dunham. Pass through the village. *Cross the canal bridge and follow the footpath along the Bridgewater canal towpath. Pass under 2 bridges. The canal becomes narrower as it crosses the aqueduct which carries it over the River Bollin, then widens again, take the steps leading from the canal to a lane where we go left, continuing along the route to arrive at Little Bollington. *Go left at the pub and cross a metal footbridge over the River Bollin. Cross the road and continue along the lane leading to Dunham Park. Continue to the Old Mill at Dunham Massey. *Just past the mill turn left, pass the buildings now used for the National Trust shop. Pass beneath the clock tower then turn right past the old tree. Remain on the path alongside the moat to return to the car park.